The focus in many sports in recent years, including Gaelic games, has been largely on tactics and, more often than not, the team who wins that battle takes the spoils. We've seen some amazing encounters that might not have been the most breathtakingly spectacular in terms of skills and scores, but have been compelling nonetheless. And I expect today's All-Ireland senior camogie final to be one of those games. There's nothing between Kilkenny and Cork. They contested the last two All-Ireland finals, winning one each, and it is fitting that this year's decider pits the two best teams in the country against each other. There are also plenty of sub-plots that will add to the appeal of this game - the match-ups, the managers and the rivalry all enhance the intrigue of the encounter. I think it's going to be an extremely tight and tense affair. I don't expect it to be high-scoring, but what it lacks in scores it will make up for with intensity. Both teams play quite a similar style, they will be trying to crowd it out around the middle of the field and around the half-forward and half-back lines - the aim being to stop delivery of ball to the inside lines. Cork's half-forward line could have a big influence on the game. In the semi-final against Tipp, Amy O'Connor, Orla Cronin and Orla Cotter played there and these are crucial players who can perform on the big day. 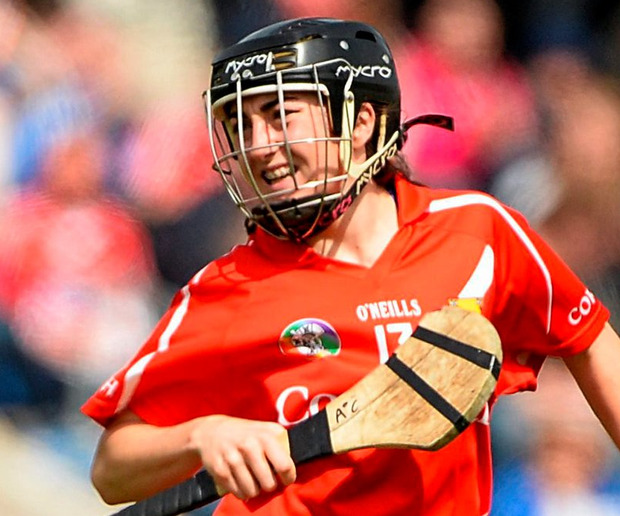 A lot of the talk ahead of the game has been about Kilkenny's Anne Dalton, who is one of the best players camogie has ever seen and she plays that sweeper role so well. I expect her and Cronin to have another titanic battle, as they did in last year's final when the Cork forward had a massive game, with three points from play. Kilkenny and Dalton will have learned a lot from that day, however. They will know that you can't give Cronin space or she will punish you. She's a runner, she's athletic and she is well able to hurl and shoot from distance. Kilkenny have only conceded one goal in the whole championship but this won't worry Cork because they know their players in the half-forward line can get the vital long-range scores. They also have an unerring free taker in Cotter - she got seven from seven in the semi-final and she's not one to be fazed by the big day. The key for Kilkenny will be their full-forward line. They will probably have Shelly Farrell and Michelle Quilty playing a two-woman full-forward line. Those two are a dangerous pairing - they are pacey and quick hurlers and they know how to score goals. But they will need the right ball delivered to them, coming into the space so they are able to run at it and do damage with it. Both teams know each other so well. It's the same core groups of girls in both panels and while they will be collectively doing battle, there will also be some individual duels and this will just add to the intensity. The two managers, Paudie Murray and Ann Downey, and their tense relationship also brings an extra edge to the game. They are similar in their approach, they are ruthless characters and will want to win at almost all costs. Although the action is on the field, it will be interesting to keep an eye on their body language on the sidelines throughout the game. Paudie and Ann are born winners; losing today is not on their agenda. Ultimately, it will be a battle and a fascinating one at that. We know what these sides can do. They have both been consistent all year, they won their respective provincial titles, they contested the League final where Kilkenny came out on top, they topped their groups in championship and now they are back to meet again in the All-Ireland final. I think it will be very close, but I think Cork will shade it. They are even more ruthless than before and, regardless of who they have been playing, they have been driving on and never letting up. They have such a spread of scorers as well, so they will be hard to contain. Throw in the bench they have too, with the likes of Briege Corkery, and it's impossible to look past them.